The Centers for Disease Control and Prevention (CDC) recommends that adults between the ages of 18 to 60 sleep 7 or more hours, adults between the ages of 61 to 64 sleep 7 to 9 hours, and adults 65 or oversell 7 to 8 hours. However, data shows that 30 percent of adults sleep less than 6 hours a night. Regrettably, the inability of these adults to sleep the recommended hours each night has serious consequences on their bodies and their health. For example, getting less than 6 hours of sleep increases stress levels the next day. And these increased stress levels increase your appetite, which in turn over time, causes you to gain weight. Regrettably, the weight that you gain is in the form of visceral fat that accumulates around your waist. Furthermore, it’s not just your weight that affected, inadequate sleep has serious effects on your heart, as well as your brain. 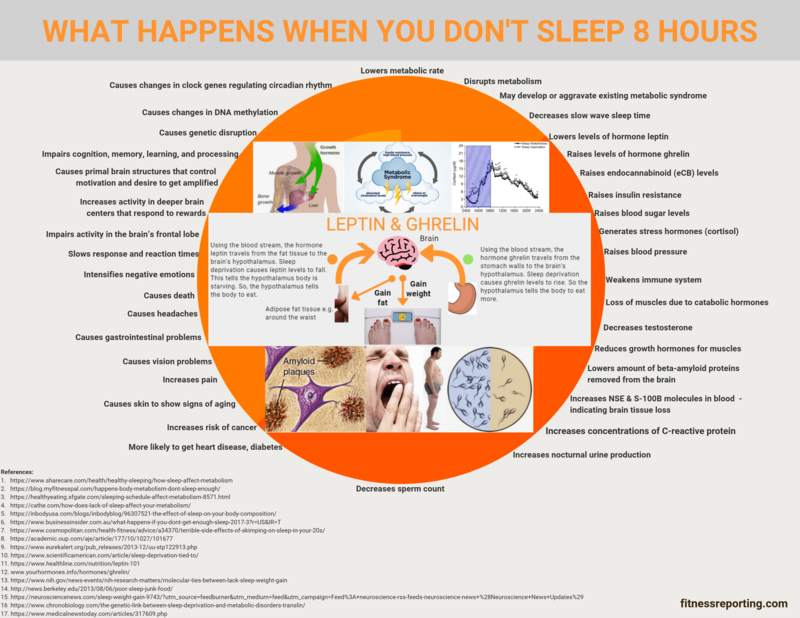 Lastly, inadequate sleep makes you susceptible to diseases such as diabetes.